Why do we work with a broker/dealer? The Securities and Exchange Commission (SEC) delegates the supervision of financial advisors to the Financial Industry Regulatory Authority (FINRA). As registered investment professionals, FINRA requires us to affiliate with a broker/dealer in order to buy and sell investment products on your behalf. Anton LeMieux partners with Commonwealth Financial Network®. 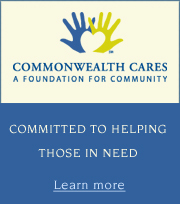 The fact that we've chosen to work with Commonwealth Financial Network® (Commonwealth), an independent broker/dealer–Registered Investment Advisor (RIA) means that our firm remains independent and free to act in your best interest, without any pressure to promote proprietary products or strategies. It's a model that differs from that of some other, larger financial firms whose financial representatives are accountable not just to their clients, but also to the parent company that employs them. Investment choice. Commonwealth offers us robust, independent market research and a wide universe of third-party investment options—from individual stocks and bonds to mutual funds, exchange-traded funds, alternative investments, managed accounts, and retirement plans. Our access to Commonwealth’s expert, impartial guidance and a diverse range of products helps ensure that we remain free to operate in your best interest and to make recommendations based on your financial objectives, personal investment style, and risk tolerance.